Chiropractic treatment is on the rise. Chances are you have heard at least one of the people you know talk about going to a chiropractor, but still it seems as if this medicinal practice is veiled in uncertainty. Here at Fulmore Chiropractic, we want to assuage any reservations you might be feeling, and also tell you about some benefits you might not know about. Just going about daily life can pose risks to the joints and musculature of the body. Picking up the garbage bag the wrong way, tripping on a crack in the pavement, or even just waving too vigorously to a friend can throw your body out of alignment. These small misalignments won’t register as pain immediately, and by the time you start feeling pain the problem has reached a dangerous level. Making and keeping regular chiropractic appointments can keep your body from getting to this point of dysfunction. There are rumors that chiropractic care is only safe and/or appropriate for adults, this is a myth. Children can benefit greatly from regular chiropractic treatment as well as adults. A study found that chiropractic care is completely safe for children. It can even help to correct spinal alignment after sporting or other accidents. Even newborns can receive chiropractic care for digestive issues. There are several ways in which regular chiropractic treatment can reduce the risk of illness. First, it can release immunoregulatory complexes, which help to strengthen the immune system. Regular treatments also help to decrease blood pressure, reducing stresses on the cardiovascular system, in turn keeping it strong. Chiropractic doctors have also been found to be strong influences for creating and maintaining a healthy lifestyle. This myth may have been derived from the numerous individuals who come to chiropractic treatment after experiencing a traumatic accident. Many of these individuals need to spend lots of time receiving chiropractic treatment in order to return the body to its natural order. Truthfully, making a single trip to Fulmore Chiropractic doesn’t mean you’ll have to continue coming to see us for the rest of your life. Though we would be happy to keep regular appointments with you to help you have a healthier body. Going to the chiropractor does not hurt. If anything, going to a chiropractor will help you feel better and relieve your pain. The number one reason people go to see a chiropractor is the relief of neck and back pain and tension headaches. This does not mean that the chiropractor will first subject you to pain during the readjustment. In fact, a readjustment by a chiropractor starts to alleviate pain immediately. As you can tell, chiropractic care can be an essential element of a healthy lifestyle. 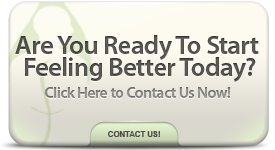 If you are looking for Orlando Chiropractic Care, make an appointment today. You’ll be thanking yourself for coming in to see us at Fulmore Chiropractic, the Best Chiropractor in Orlando.